Popcorn machine rental comes with a decorative cart when delivered. The tabletop unit described is only available for customers with 50 servings or less. Great for a kids party, small function, bbq, outdoor movie theater with friends and more! This machine is designed for ease of use with 6 oz popcorn packets. 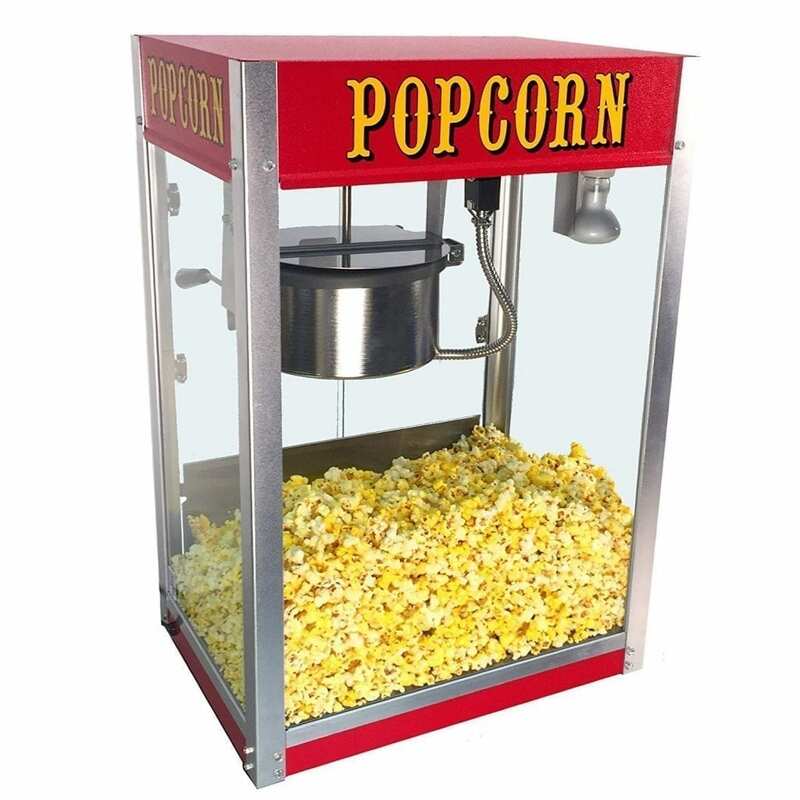 It is safer than our larger 8 oz popcorn machine, making it perfect for family functions where the users may not have received the original training. The 6 oz. kettle heats up in a few minutes and can pop 6 servings in 4-5 minutes which is perfect for small parties and get togethers. **Remember to add your popcorn supplies to your cart so we can quote your full order. *Cart/stand is not available with will-call pickup.